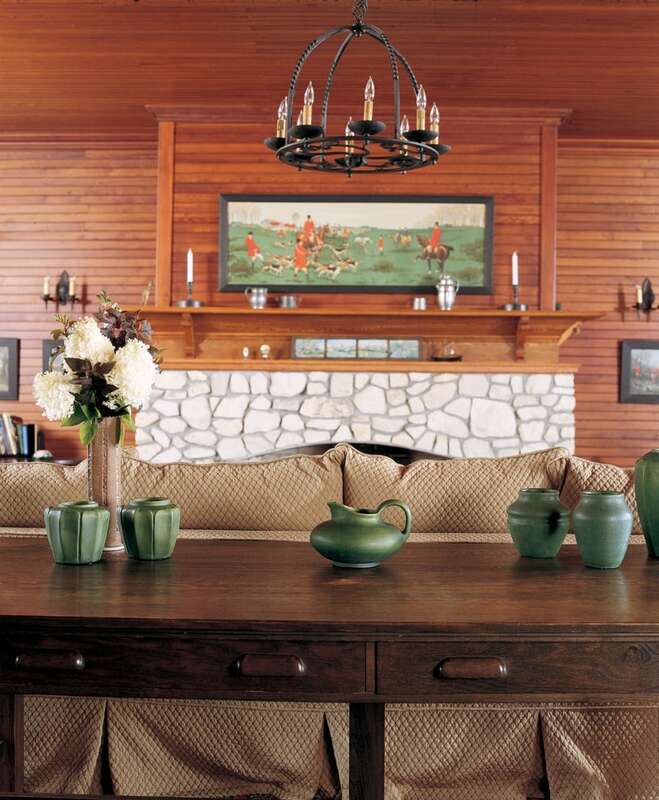 When David and Ann Levy discovered the history of a Mackinac Island cottage called Craig Mawr, they couldn’t help but bring it back. This home is featured in the July 2006 issue of Northern Home & Cottage, a bi-monthly home publication included in all subscriptions to Traverse, Northern Michigan’s Magazine. Subscribe. In August of 1893 Mrs. James Walsh of Chicago held a reception for her daughter, Adelaide Walsh, at the family’s Mackinac Island cottage, Craig Mawr. As an article in the island’s Daily Reporter recorded: “… during the 2 hours many of Miss Walsh’s young friends at the Grand and from the cottages were handsomely entertained.” Imagine those stylish young women, their corseted waists casting thin shadows in the late afternoon sun, gowns brushing the steps up to the cottage’s long porch. A century and 12 years later, to the month, Craig Mawr was the site of another gathering of styling young women. Corsets and gowns? Try sports bras and nylon shorts. The guests, all 20 of them, were the high school cross-country running teammates of the daughter of the home’s new owners, David and Ann Levy. Visiting for several days of training and island fun, the girls slept on floors, couches—“Wherever they could find a spot,” David says. Not only did the event make it into the newspaper, the Mackinac Island Town Crier, but it also highlighted the fact that after a 2 1⁄2-year restoration, the family—only the third owners in the cottage’s history—has settled into the rambling, East Bluff Queen Anne cottage built in 1890. The arduous job of bringing Craig Mawr up to modern standards while returning the cottage to its former 19th-century glory was a feat—but one that culminated in the project being regarded as Mackinac Island’s finest private residential historic restoration to date. “They did a first rate job—we hold it up as an example,” says Phil Porter, director of Mackinac State Historic Parks. Indeed, Craig Mawr’s restoration has garnered several awards including, this spring, an Honor Award from the Michigan chapter of the American Institute of Architects. The accolades were well earned. Renovation of the island’s historic East and West Bluff homes must satisfy exacting Mackinac Historic State Park guidelines—the same criteria the Department of Interior uses for restoring historic buildings. As a part of the renovation process, owners commit to either a rehabilitation (modernizing it while maintaining the historic facade) of their cottage or the far more extensive historic restoration. The Levys didn’t need a dissertation on historic preservation to commit to a full-on restoration. Through photos passed along by the home’s previous owners, the couple had already fallen in love with the house as it looked in the early 1900’s. In those photos, and others they found later in a Mackinac State Parks collection, the home had a trio of charming dormers instead of one shed dormer, one of the two round turrets wasn’t round at all, but a quirky, seven-sided shape, and the covered porch that ended at the front door had once run grandly to the home’s east end. 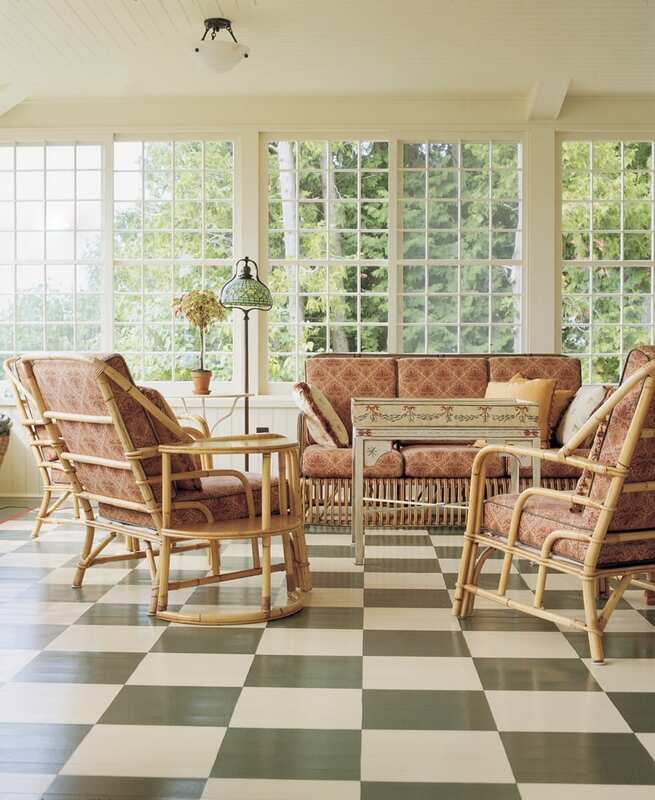 Inside, the photos revealed the cottage’s late-Victorian, early Craftsman soul, smothered over the decades by, among other additions, white paint and 1970’s multi-colored carpet. Gene Hopkins, the architect with the Smith Group (the same architectural firm employed by the Grand Hotel) who eventually headed up the project, added other reasons for an accurate restoration. Hopkins sees the cottage’s design as a priceless piece of island vernacular—particularly for the way the home integrates with its island setting. The living room, he points out, is only one room deep, allowing views of the Straits and the grounds behind the home. “Life on Mackinac is about the outdoors and the indoors. This home articulates that elegantly,” Hopkins says. And so in 2000 the Levys purchased Craig Mawr—lock, stock and barrel as it often goes on Mackinac Island, where getting rid of old possessions means the expense of ferrying them off the island. So much was left, in fact, that Ann had to make a spreadsheet of the contents. Among them were Mission-style dining room and living room furniture, Arts and Crafts pottery, 19th-century English hunt prints and five claw-foot bathtubs. “It was like finding treasure.” Ann says. Craig Mawr had more surprises waiting underneath her old structure. When builder Rick Marshall jacked up the home that sagged as much as 17 inches in spots, he found it rested on cedar stumps. Giving the home a new foundation involved breaking up rock under the home with jackhammers then hauling it out from under the structure in wheelbarrows. Even for Marshall, who has worked on the island with its historic buildings and anachronistic horse-and-dray delivery system since 1979, the job was monumental. The foundation was difficult, but Marshall was even more confounded by rebuilding the seven-sided turret. “No two sides were even. There was no starting point for figuring the angles. It was very odd.” Puzzled or not, Marshall persevered until Craig Mawr once again boasted its Mackinac Island, one-of-a-kind, seven-sided turret. Each step of the way the Levys salvaged what they could and replicated what they couldn’t. Four of the five claw foot tubs were reglazed (one cracked and was unusable), and they were able to reuse a porcelain sink and two marble vanities. The home’s 70 windows were too rotted to save, so identicals were custom-made, complete with old-style wavy glass. 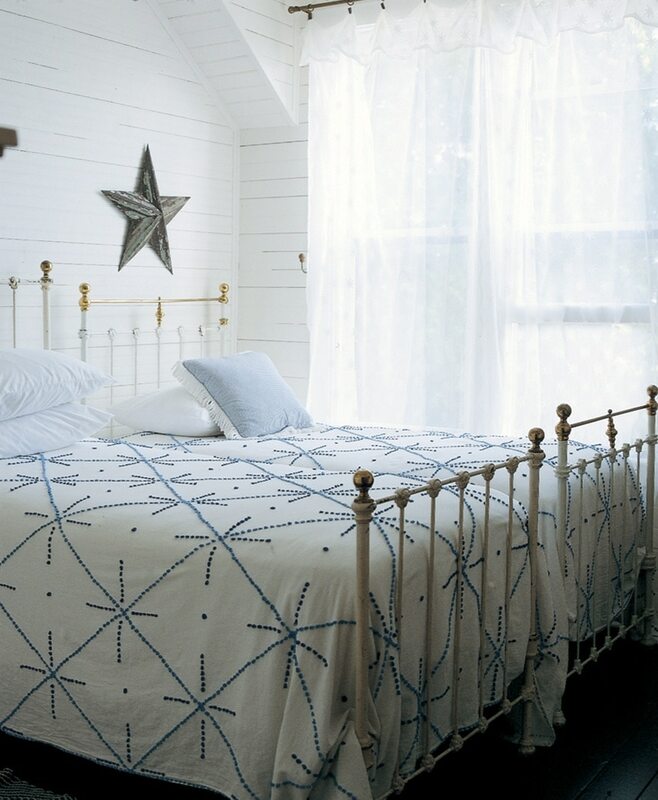 When the pine beadboard on the living room ceiling had to come down so that the second floor joists could be replaced, Marshall and his crew numbered all 600 boards, then reinstalled them in their original places when the joist work was finished, gaps from where the old wood had shrunk and all. 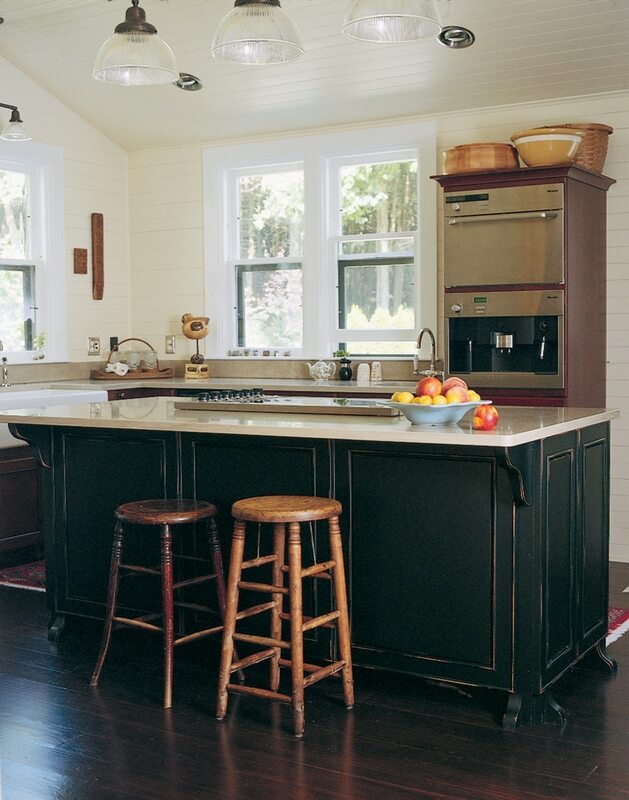 And where they had to opt for modern conveniences, in the kitchen for example, the Levys chose colors and materials that harmonized with their historic home. Along the way, it became second nature for them to think like the Walsh family. Ann says that sometimes she places something somewhere then realizes that the same item was placed the same way in an old photo. ”I don’t know if I was remembering something or if it is the house speaking to me,” she says. As the lilacs bloom on Mackinac, the family is getting ready for another island summer. They’ll wake to the clip-clop of horses passing the home—a sound that makes Lacey the Labrador retriever scamper to the window. 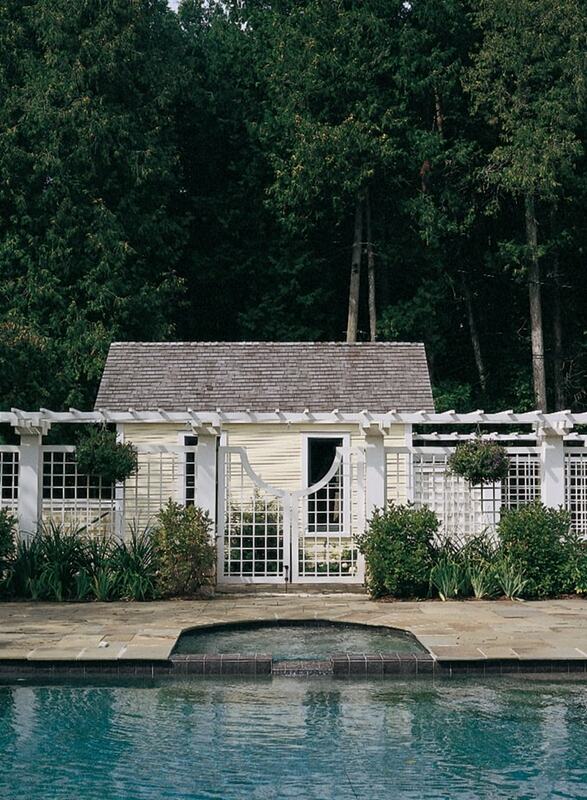 The screen door will bang open and closed as teenaged girls skip out to jobs and to rendezvous with friends. Horses Faith and Brandy will be saddled for rides on island trails, and afternoons will be wiled away on the cottage’s generous porch with its view of Ste. Anne’s church steeple set against the deep blue Straits. Like the Walshes in the 1890’s, the Levys will add their own chapter to the history of Craig Mawr. 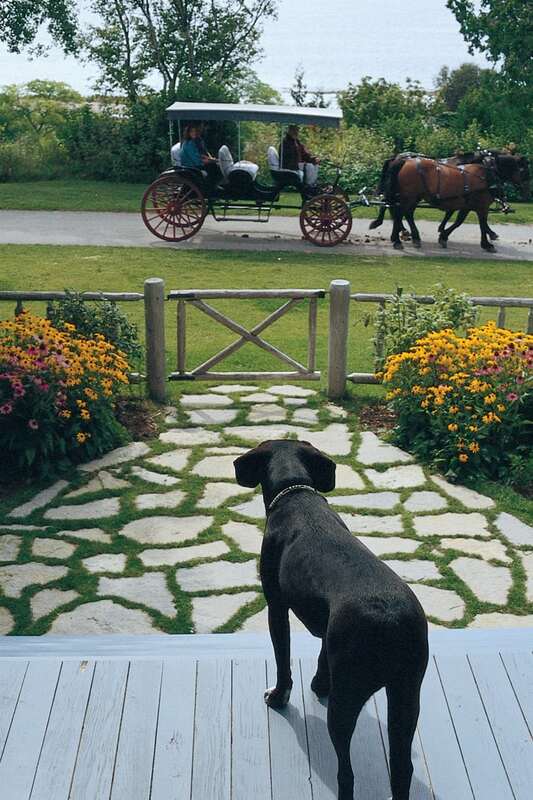 The excerpt from the Daily Reporter is from Historic Cottages of Mackinac Island by Susan Stites and Lea Ann Sterling (2001, Arbutus Press). The pool mimics a fountain that once graced the grounds. Old photos show the Victorian chaise in the living room—the Levys found it in the barn. Antique door knobs have a new life as hooks. 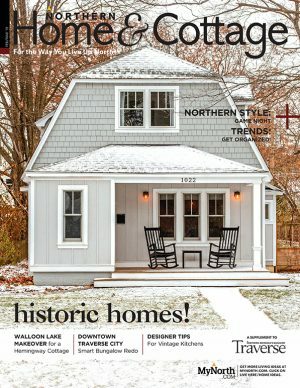 Click the cover to read the latest issue of Northern Home & Cottage online!